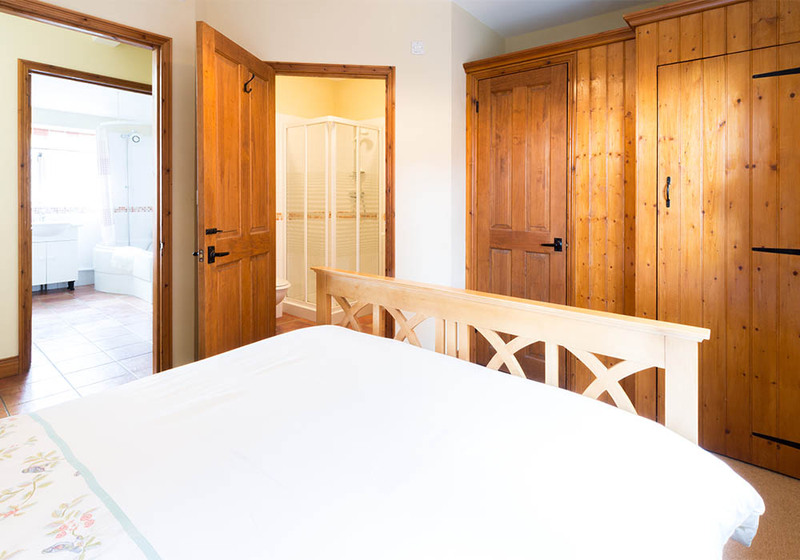 Enjoy a touch of luxury in Coachman’s Cottage thanks to its sumptuous four poster king-size bed (no fighting over this room please!). 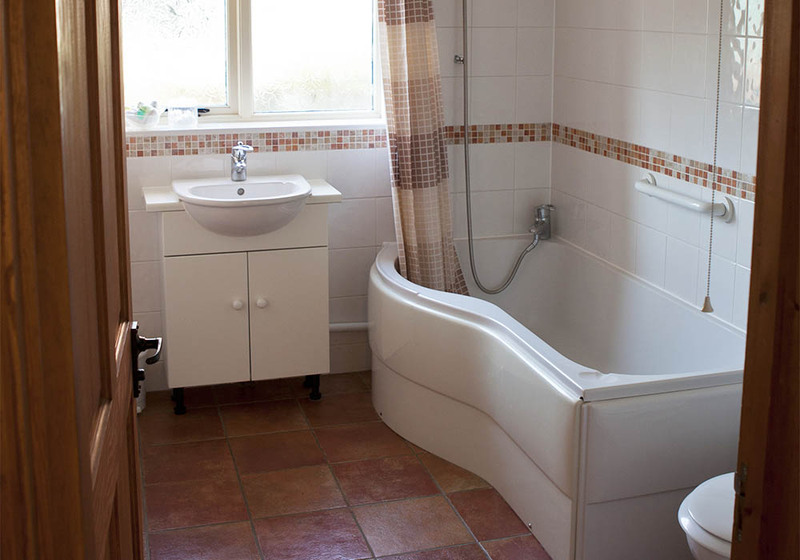 This two-story, three bedroom property also features a spacious ground floor double bedroom with en-suite shower room, plus a further ground floor bathroom to accommodate for the needs of up to six guests. 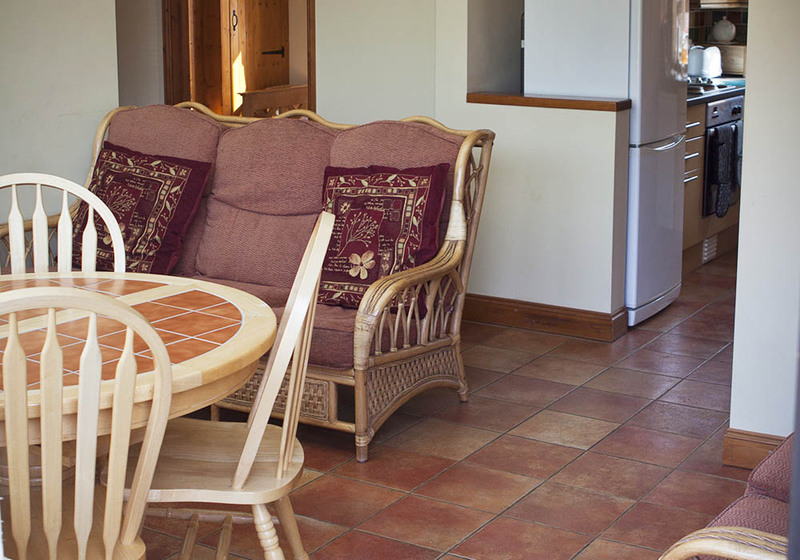 Entered through a spacious enclosed patio, this Four Star Quality rated cottage also holds a Level M1 Accessibility rating, with its living area and wide doorways suitable for wheelchairs. Master bedroom with King sized four-poster bed. 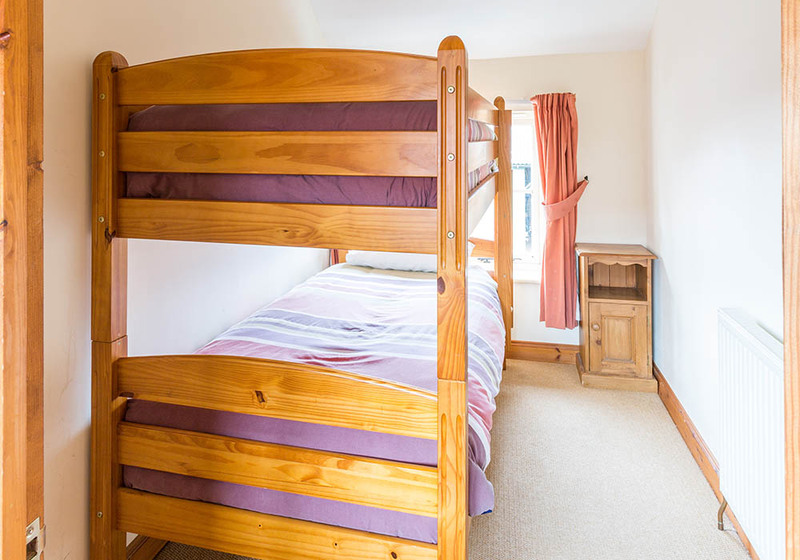 Twin bunks (full single bed size) in third bedroom. 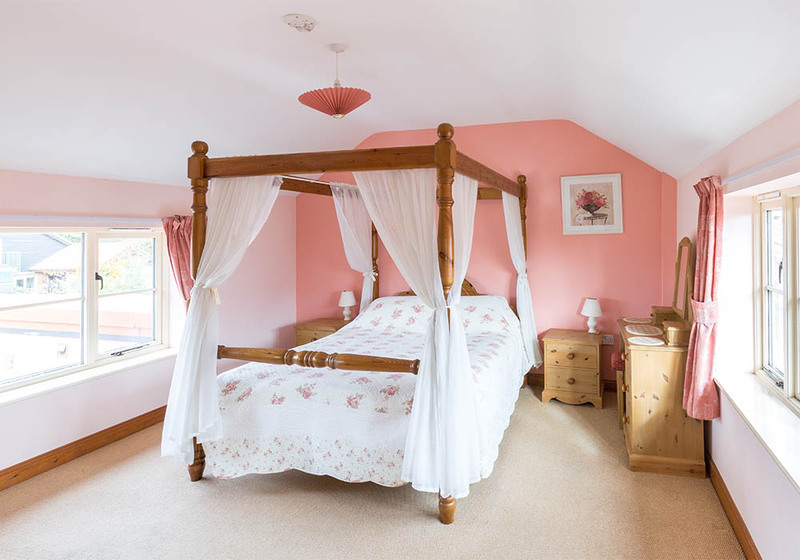 We had a great time at Damerons farm: warm welcome, very comfortable accommodation, quiet surroundings, fridge full of local products (eggs, bacon, jam…) delicious home baked cake, … Great playroom for the children. We had all the cottages for NY. There was 22 of us and we all had a wonderful, amazing time. One of our best New Years! 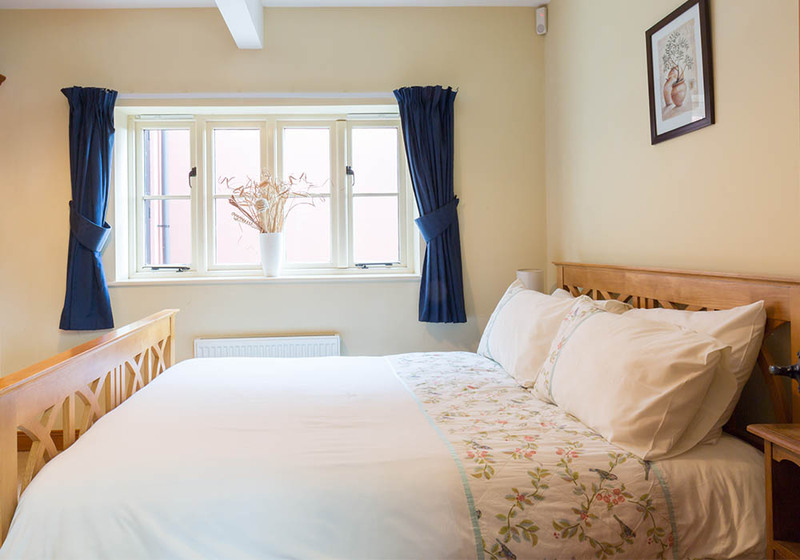 The cottages worked really well for all of us and Sue was lovely and helpful and very accommodating so thank you very much. 4 generations of our family plus dogs spread out over all 5 cottages and had a fantastic weekend to celebrate mum’s 80th birthday. The great-grandchildren loved helping on the farm, the grandchildren and children enjoyed the games room, walks and cycle routes and Mum and Dad were very comfortable in The Old Dairy. Thank you for doing so much to make sure we all had such a good time.